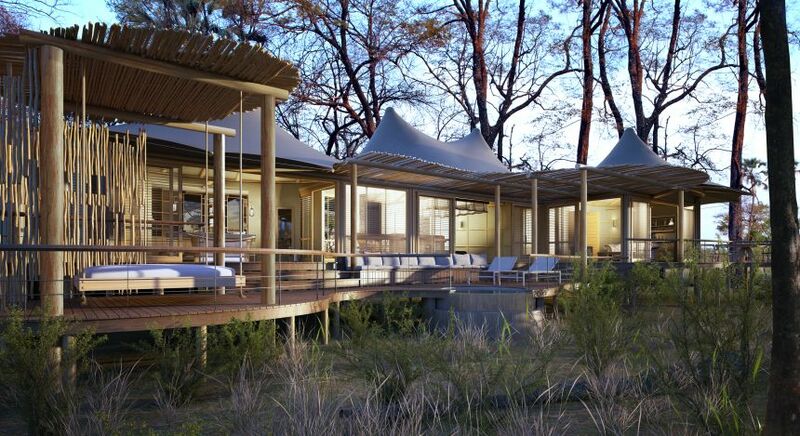 Luxury Safari Camps in Botswana | Our Top Picks! 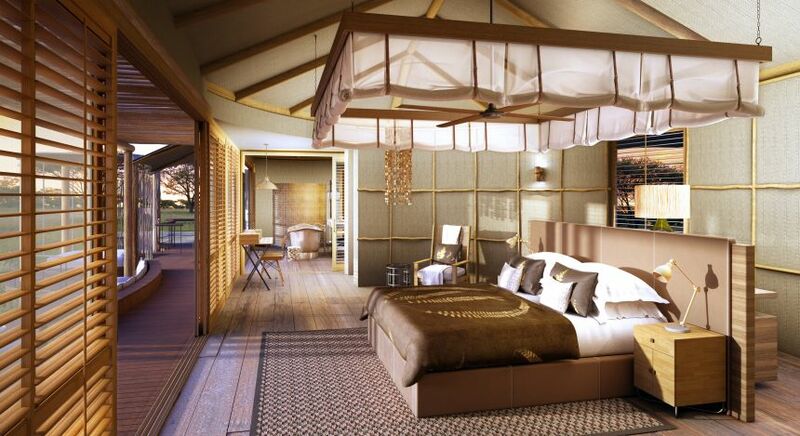 Discover the top 10 Best Luxury Safari Camps in Botswana! 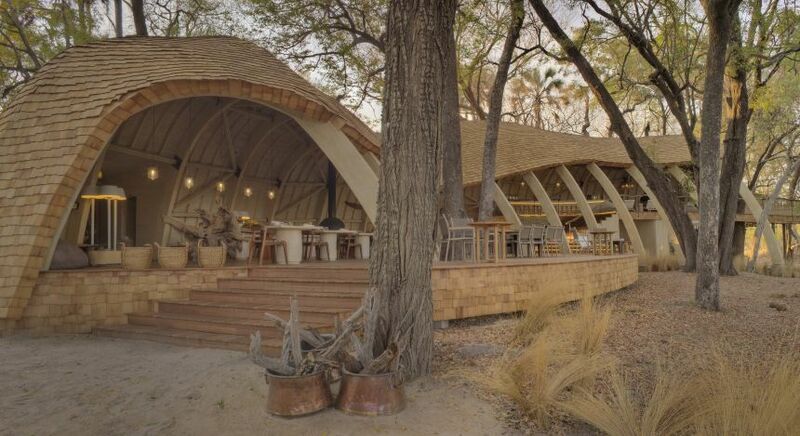 Planning your Botswana travel itinerary? 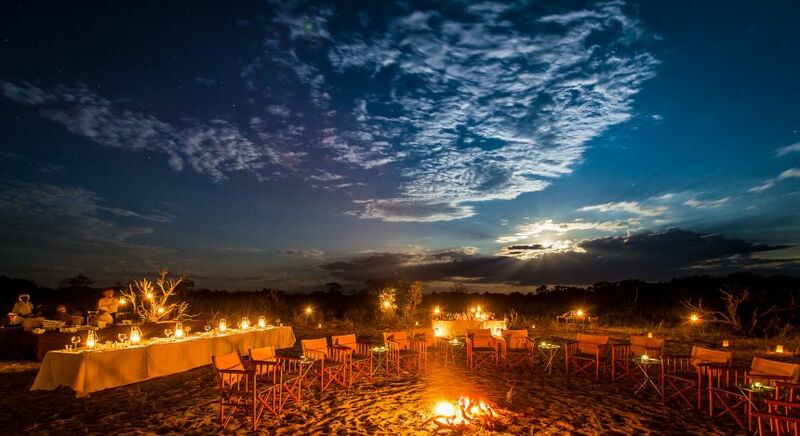 Discover the Enchanting Travels list of top 10 best luxury safari camps in Botswana. 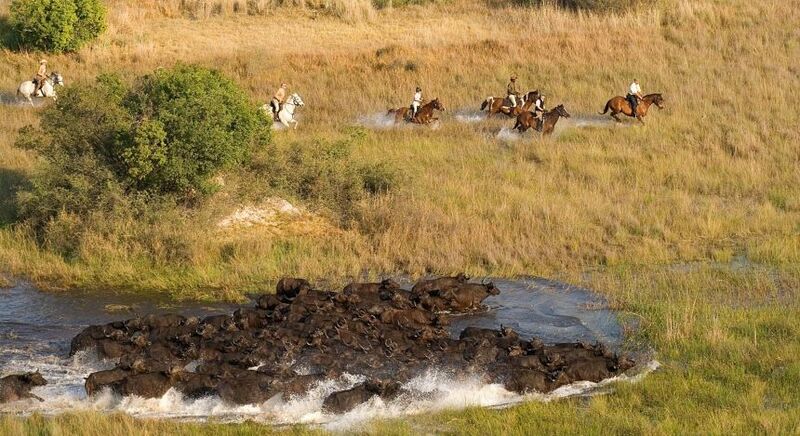 Stunning natural beauty, unique ecosystems and uninhibited movement for a large number of wildlife species are just some of the reasons why Botswana stands alone as a prime global destination for wildlife lovers. 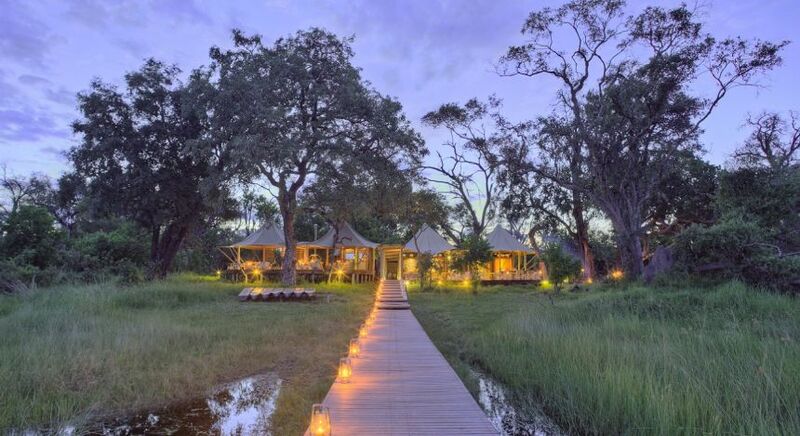 For a memorable and life-changing trip to this land-locked country in Africa, choosing the best luxury safari camps in Botswana is very important. 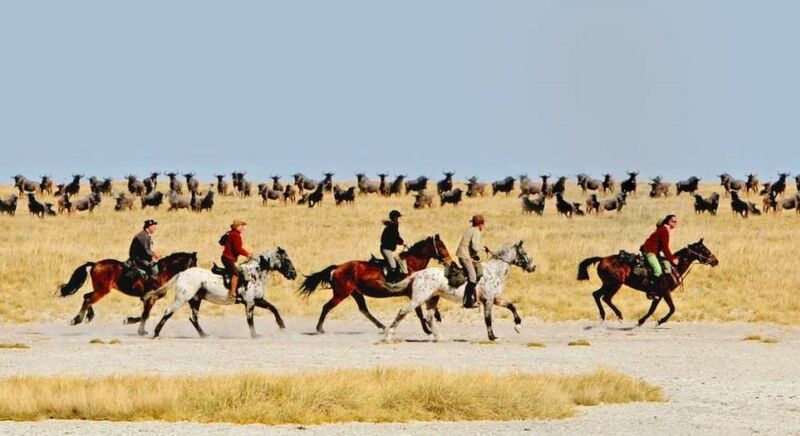 Amazingly, 38% of Botswana’s land area is devoted to national parks, reserves and wildlife management areas. 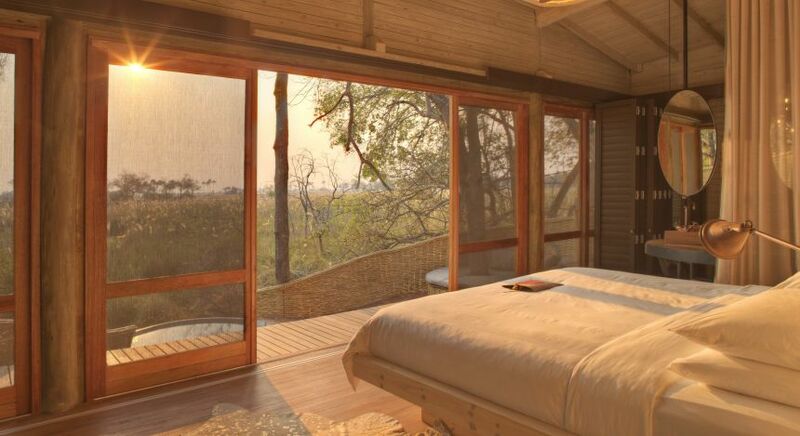 These large areas of uninhabited land create an excellent ecosystem for endangered mammal and bird species such as wild dogs, cheetahs, brown hyenas and many more to thrive without restrictions. 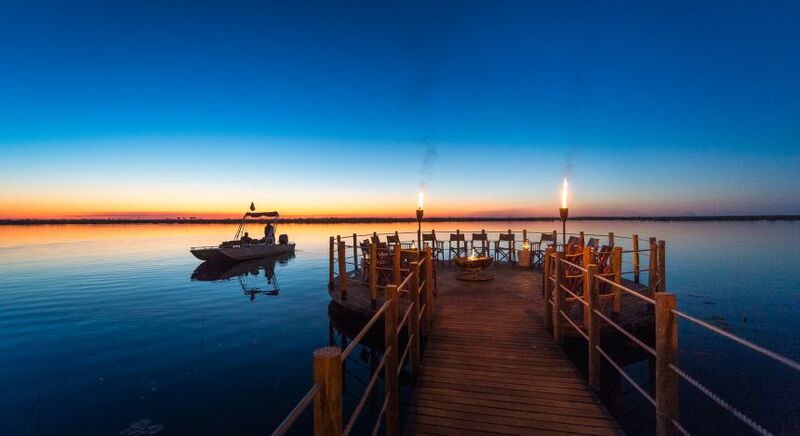 For nature lovers and wildlife enthusiasts, Botswana shines through as the leading destination where they can rekindle their love for the wilderness. 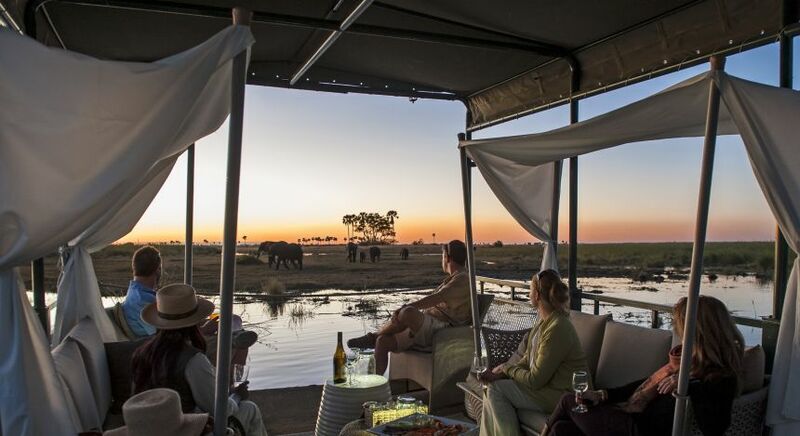 Enchanting Travels is delighted to share the best luxury safari camps in Botswana award winners, who have been assessed on our most popular properties, guest feedback, in addition to our team’s regular quality testing. Congratulations to all our Award Winners! 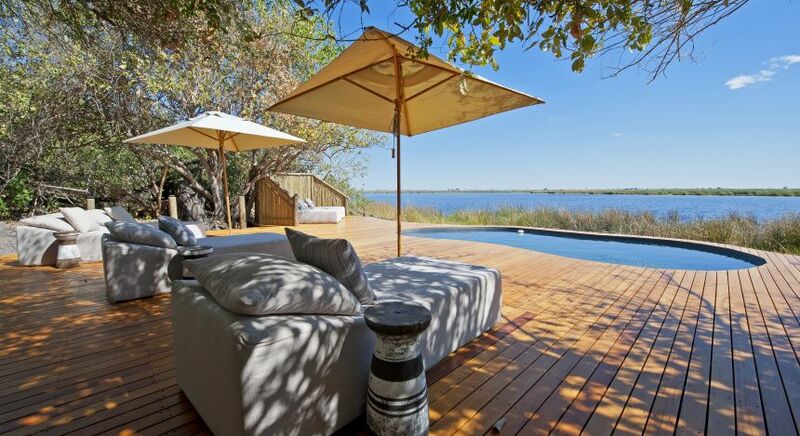 Voted by Enchanting Travels – your private travel experts in Botswana! 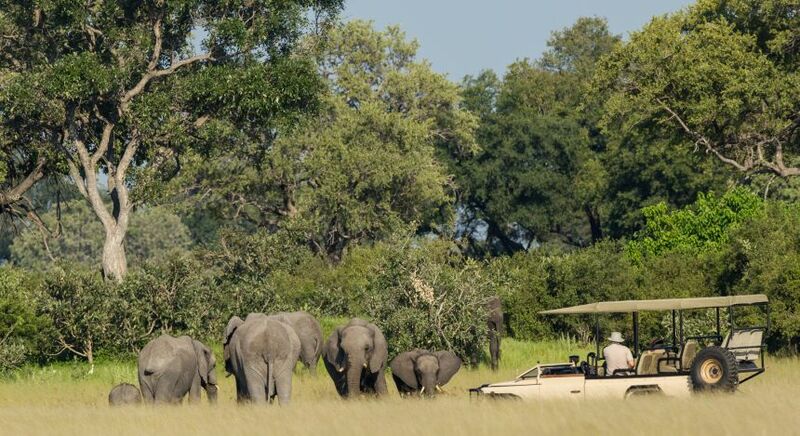 Lovingly named the ‘Land of the Giants’ by locals, Chobe National Park is where the largest hordes of elephants are! 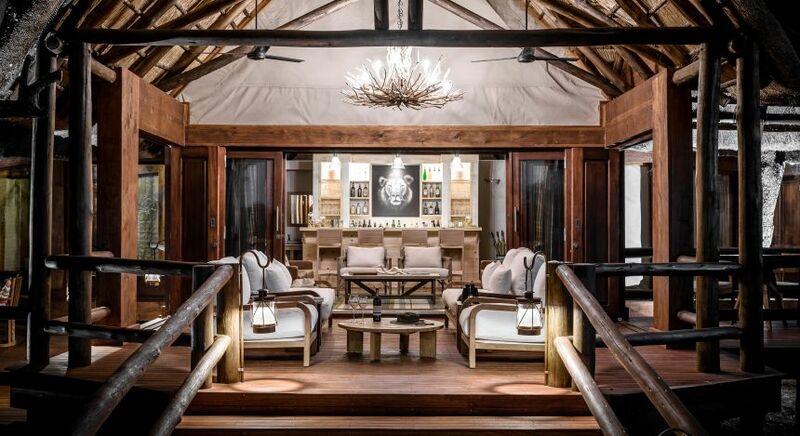 Perched within a vast, pristine forest reserve on the fringes of the park, Ngoma Safari Lodge is a passionate endeavor to support the ecosystem through sustainable tourism and empowerment of the local community. 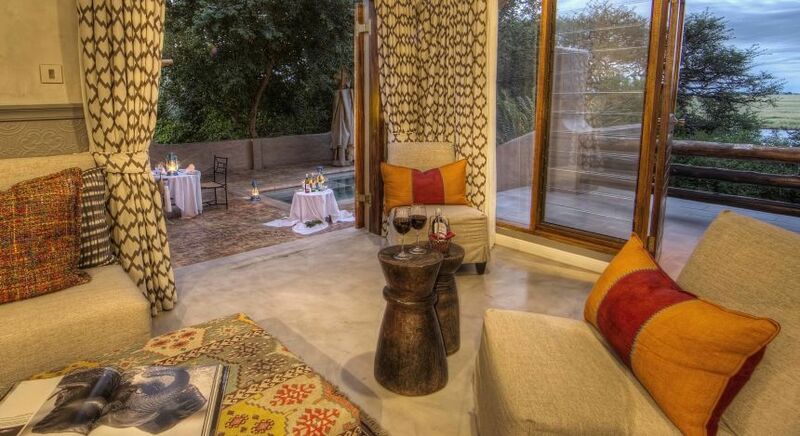 Built entirely out of natural materials that blend in harmoniously with the surroundings, here are eight luxurious villas where your every need is catered to. 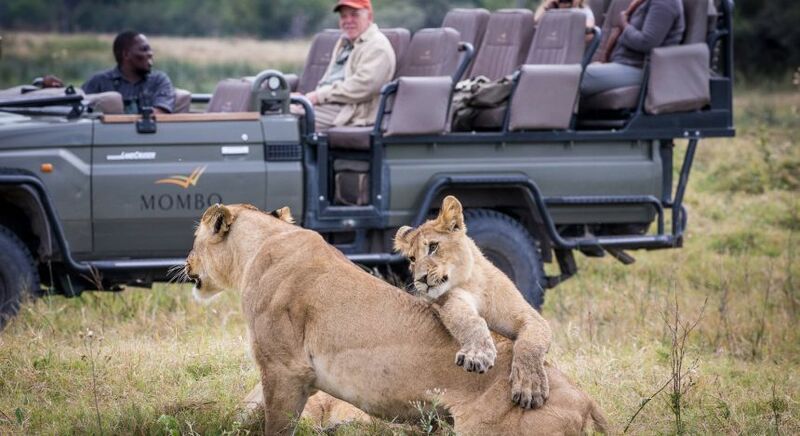 With unparalleled wildlife watching opportunities from the viewing deck, incredible sundowners, river cruises, game drives and more, each moment is a unique highlight. 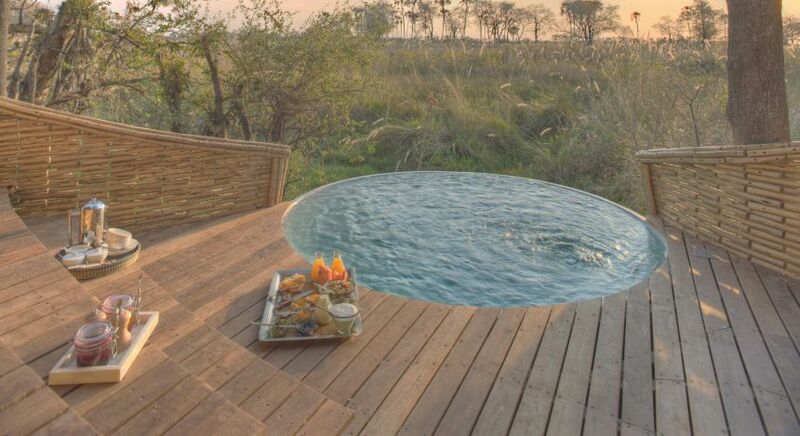 Located in the middle of the Kalahari Desert, the Okavango Delta is Botswana’s most famous safari area. 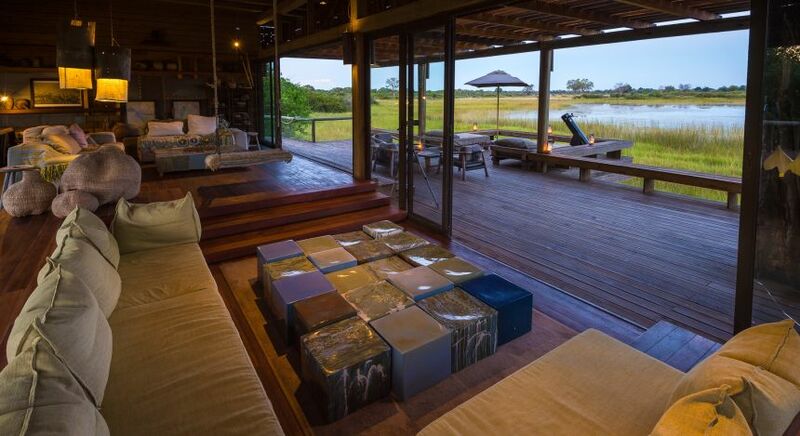 To witness its wetland-dominated ecosystem, visit the luxuriously isolated Xaranna Camp. 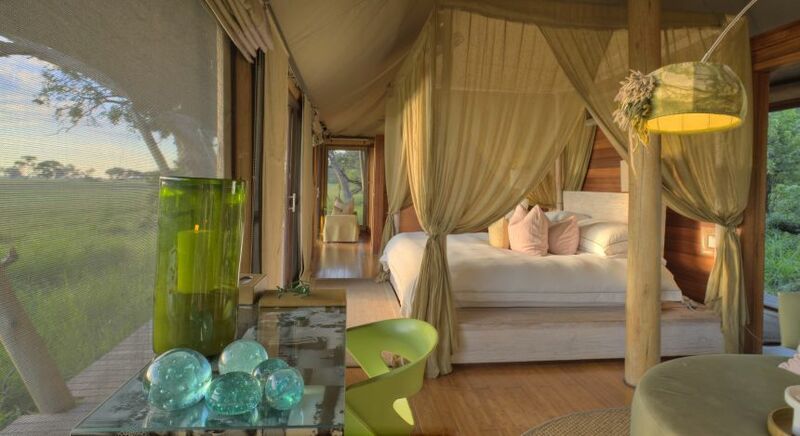 Housing only nine air conditioned tent suites, Xaranna Camp is situated on a private Delta island to provide a once-in-a-lifetime experience, which is an extremely special experience. 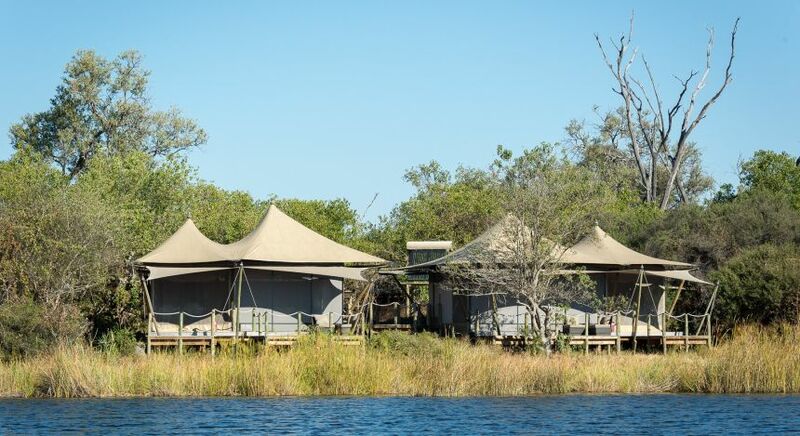 Enjoy the best of the Okavango at one of our favorite luxury safari camps with day or night game drives, birding, boating and mokoro (water-level dependent), and guided nature walks (subject to availability). Fishing is permitted between the months of March and December. 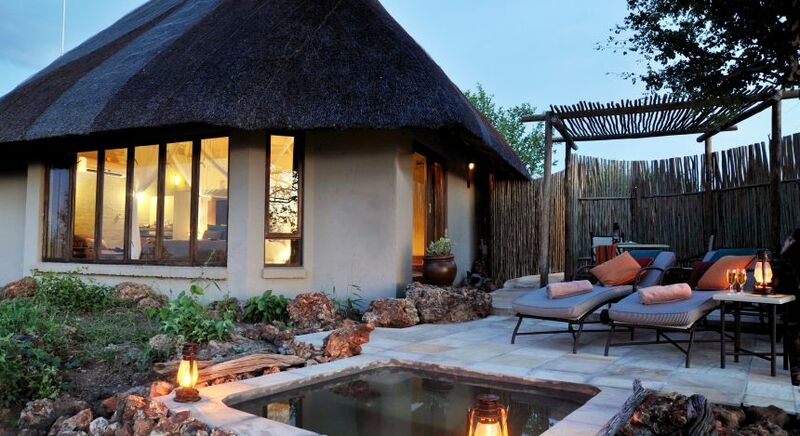 Create excellent memories in any of the 12 luxurious air conditioned suites that make the most of Sandibe Lodge’s adjacency to Moremi Game Reserve. 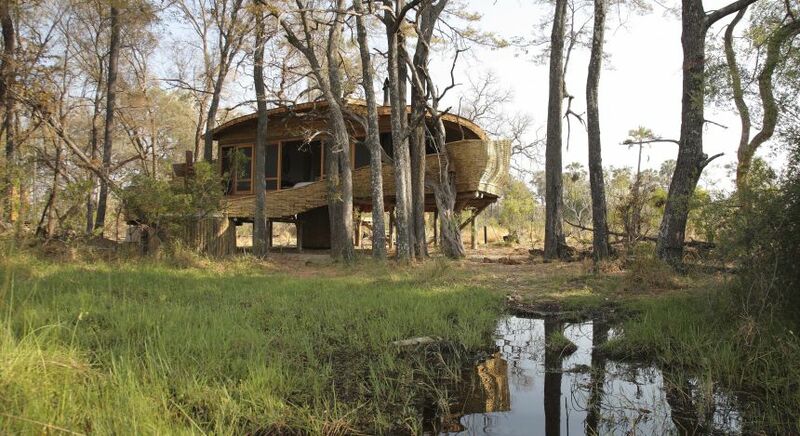 We love the cocoon-shaped architecture of the lodge, which is inspired by its near-perfect natural setting. 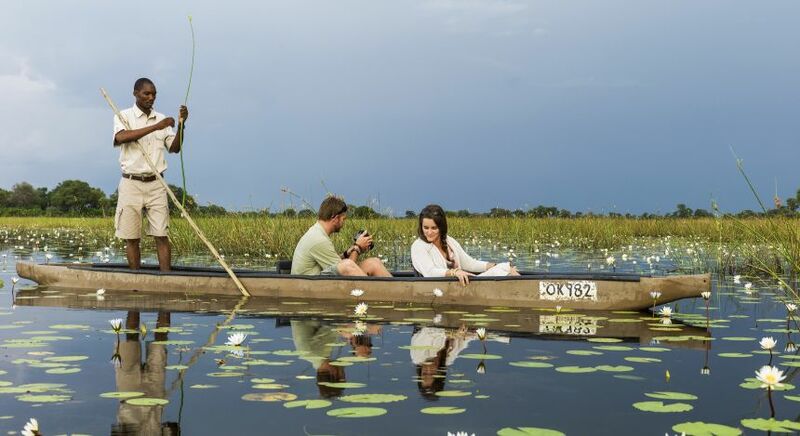 Complemented by warm hospitality and activities such as all-day game drives, bush walks and bird watching, you can experience the stunning natural beauty and majestic wildlife of the Okavango Delta. 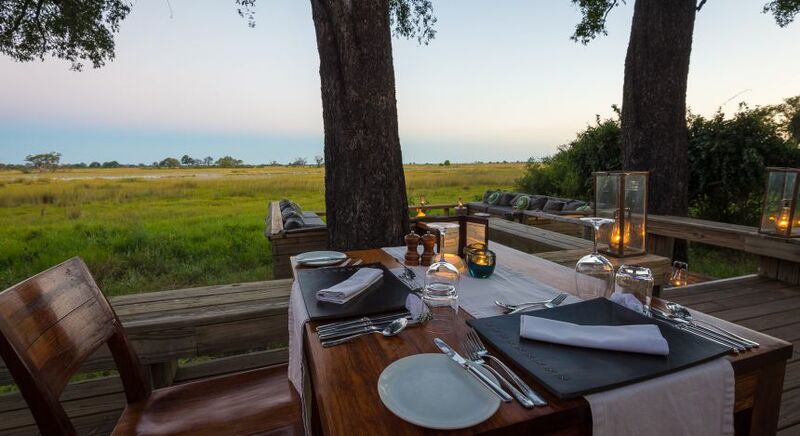 For an unforgettable experience coupled with iconic views of the Delta floodplains, Vumbura Plains Camp is an excellent choice. 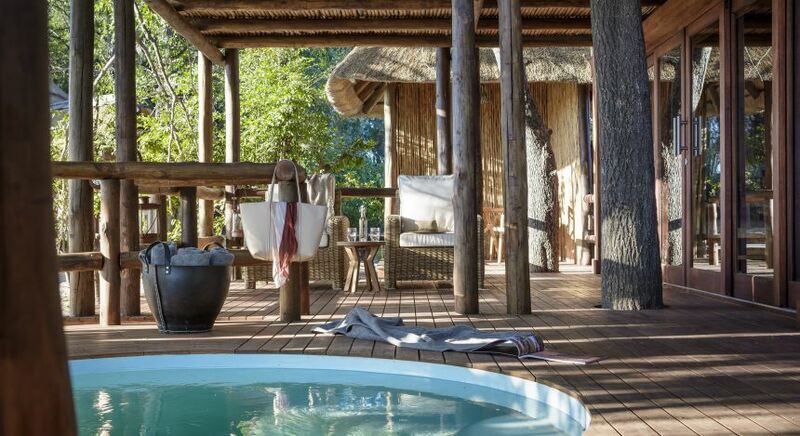 Divided into two sections that have been stylishly connected with wooden walkways, the camp is a perfect destination whether you are an adventure enthusiast or simply wish to relax in natural luxury. 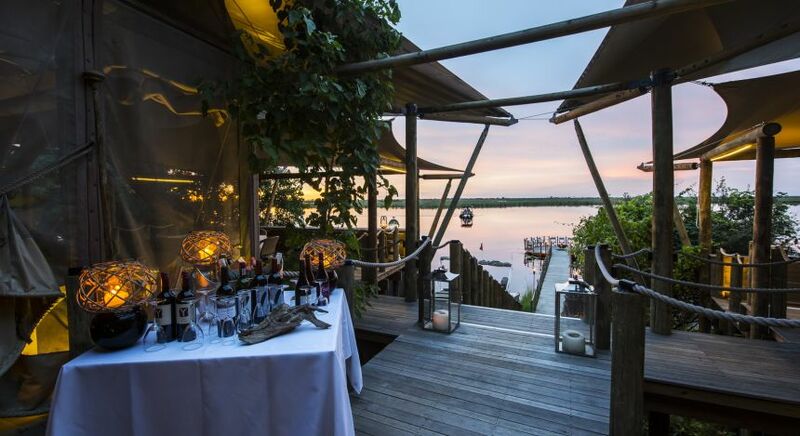 What we love about Vumbura Plains Camp is that it gives you the opportunity to experience a memorable sunrise hot air balloon flight, where you can enjoy a stunning birds-eye view of the Delta’s majestic landscape. 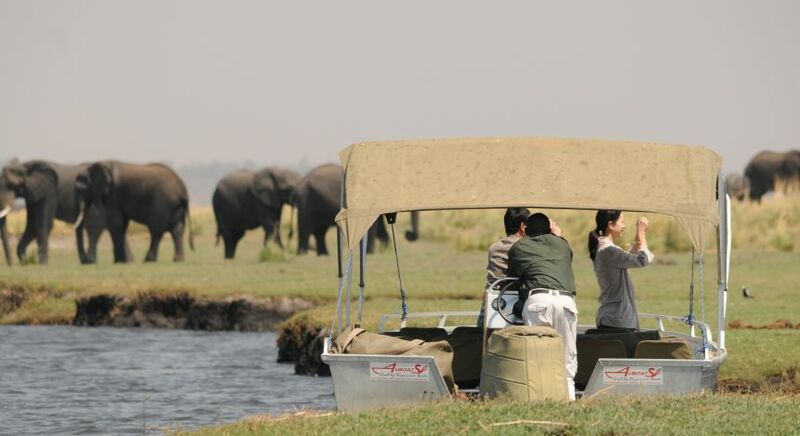 Other activities such as day game drives, boat cruises, mokoro (water-level dependent) and guided walks can also be scheduled. 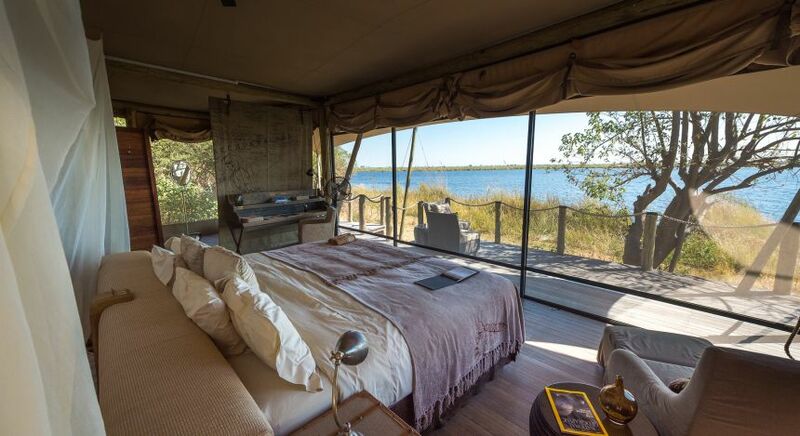 Furthering its unique approach to luxury hospitality, Mombo Island Camp has 12 luxurious tents so you can indulge in a memorable experience at Botswana’s most special regions. This award winner also has a unique advantage! 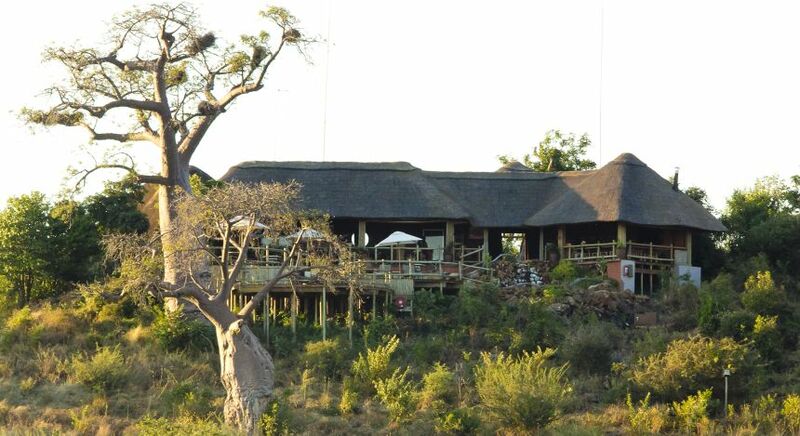 Mombo Camp gives our guests the option of enjoying private tours right in the heart of Moremi Game Reserve. This translates to the privilege of exclusively witnessing and accessing a huge collection of plains and predators right at Mombo’s doorstep. 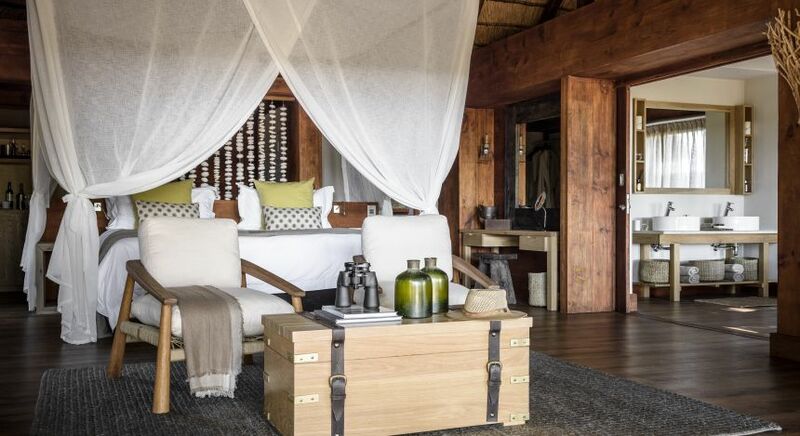 For those who wish to stay inside Chobe National Park in Botswana, the country’s first national park, Chobe Game Lodge is the ideal luxury safari lodge to consider. 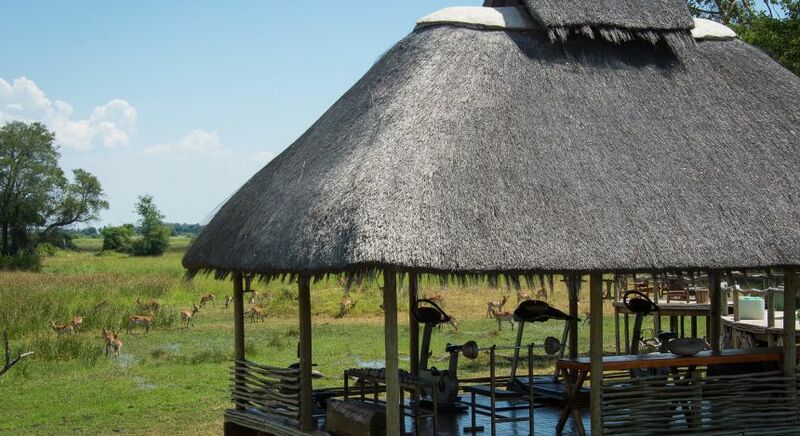 Widely lauded for its population of elephants, impala, giraffe and many bird species, this region where the famous San Bushmen resided is famous for a standout experience. Read more about the San people of the Kalahari desert. 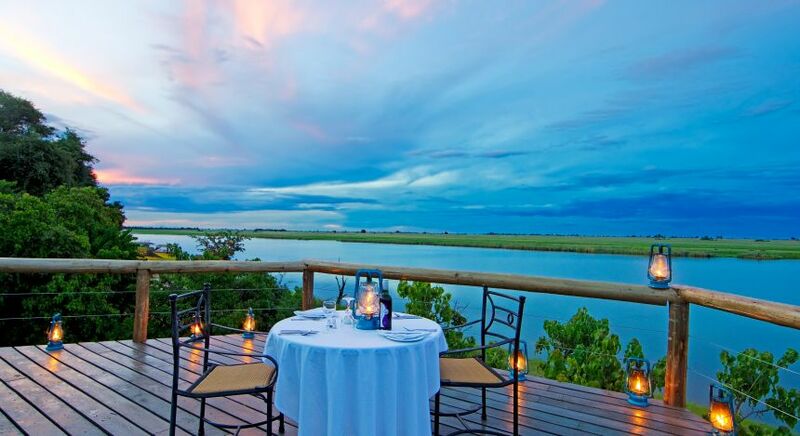 Chobe Game Lodge houses an impressive 47 river-facing rooms, making it the perfect romantic and wildlife getaway for thrill seekers and romancing lovers alike. 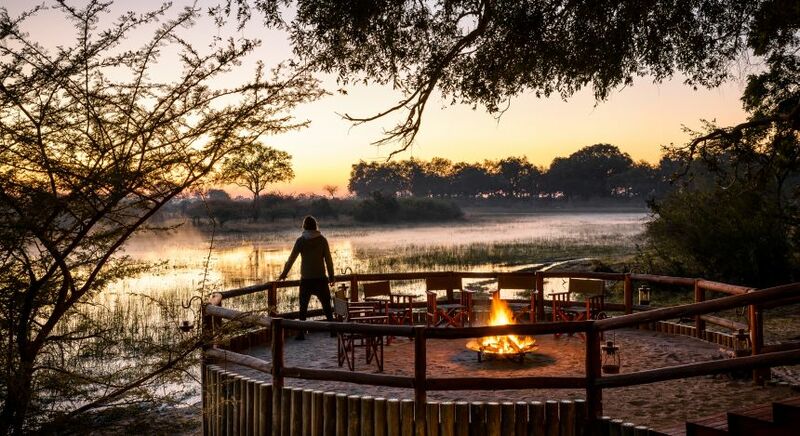 The team at Enchanting Travels believes Chobe Game Lodge is a game changer for African safari experiences, with refreshing highlights such as electric safari vehicles and a large percentage of female guides. 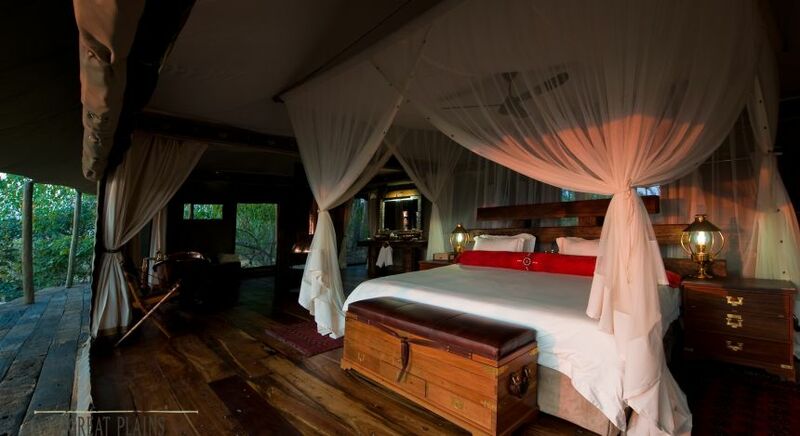 Literally meaning Roar of the Lion, DumaTau Camp offers an opportunity to witness Linyanti, a famous elephant corridor. 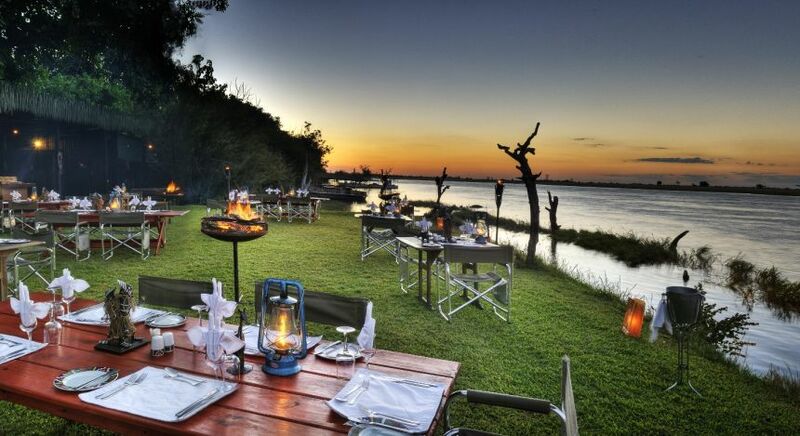 The river views from DumaTau Camp are breathtaking! 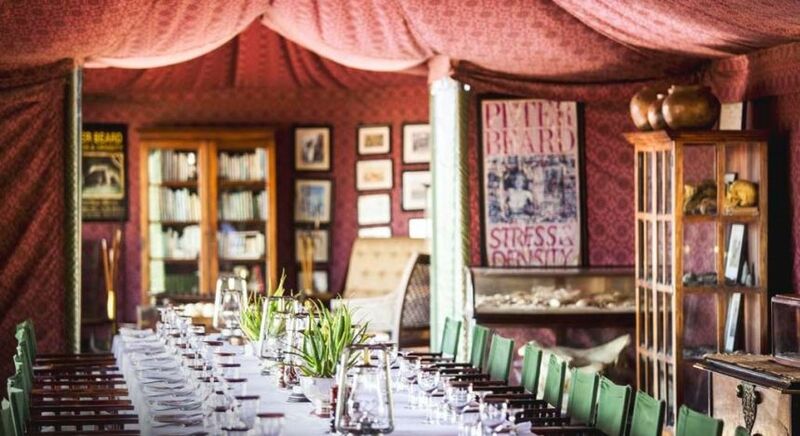 Running its ten rooms on solar energy, we are delighted by this award winner’s commitment to the environment. 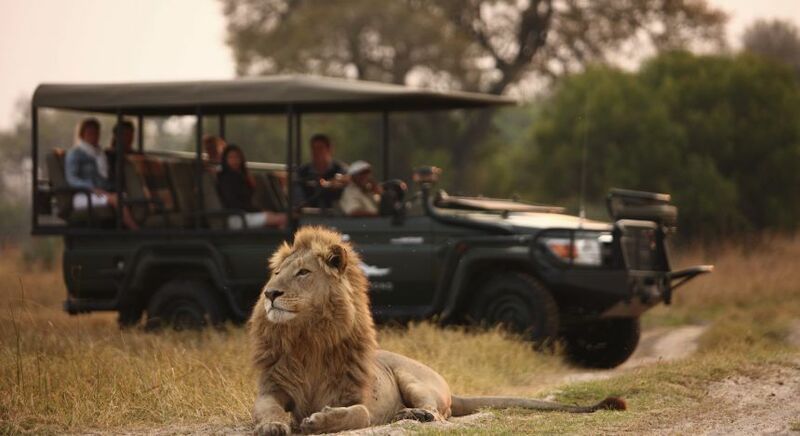 If you are looking for exclusive safari drives in Botswana, then this is one of the best options. 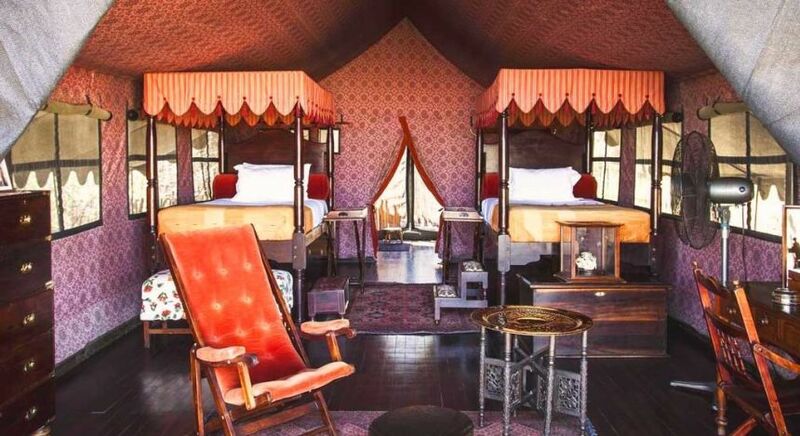 Situated in the very spot where the prehistoric Makgadikgadi Super Lake dried up, Jack’s Camp offers a rugged view of the contrasting landscape and wilderness surrounding it in the Makgadikgadi Pans. 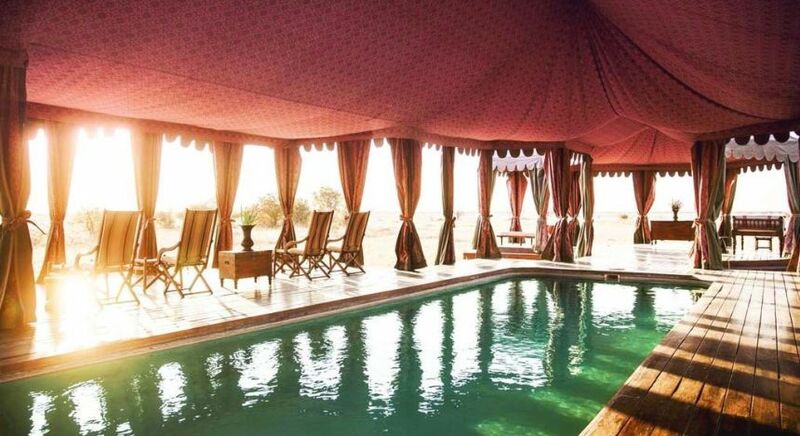 Housing ten luxury desert tents, Jack’s Camp offers unique desert safari options, quad biking tours and sightings of rare black-maned lions and brown hyenas. What’s not to love? 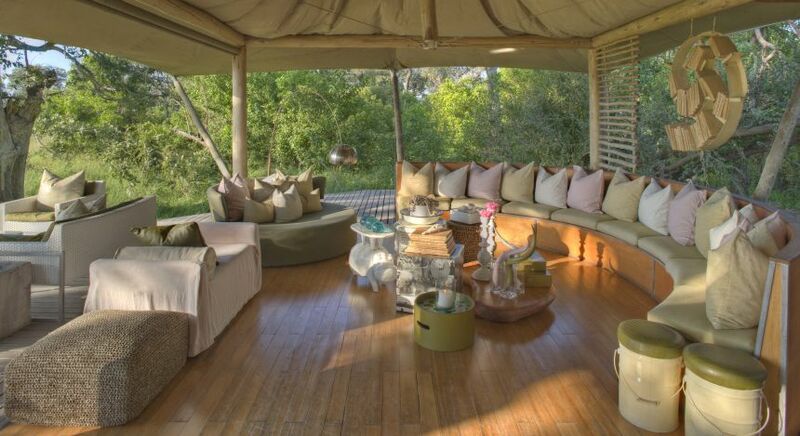 Located on the eastern portion of the Selinda Reserve, Zarafa Camp paints an intimate setting. 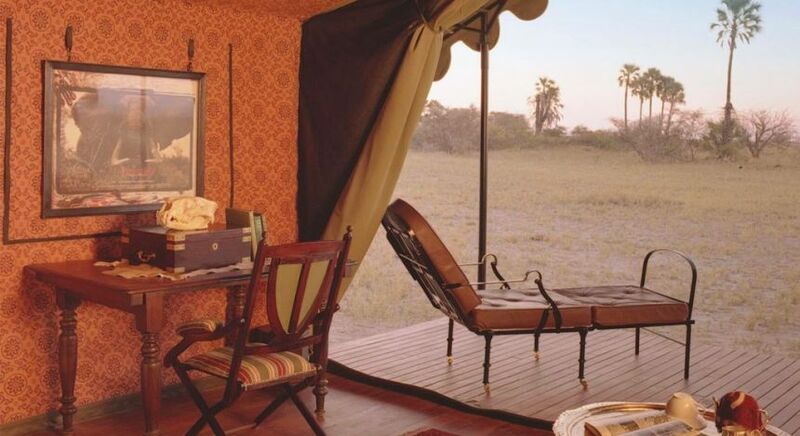 The views of the plains and the wildlife from the camp are incredible, and the camp’s authentic luxury is magnified by the warm hospitality of its staff. 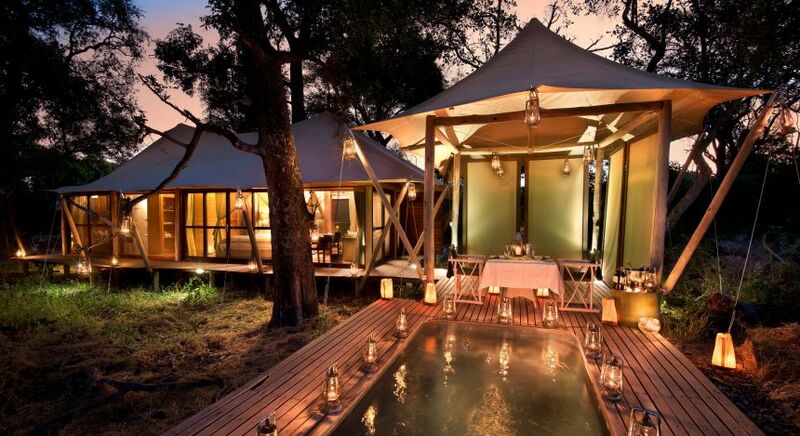 Each of this small camp’s four tents is carefully placed between ivory and ebony trees. 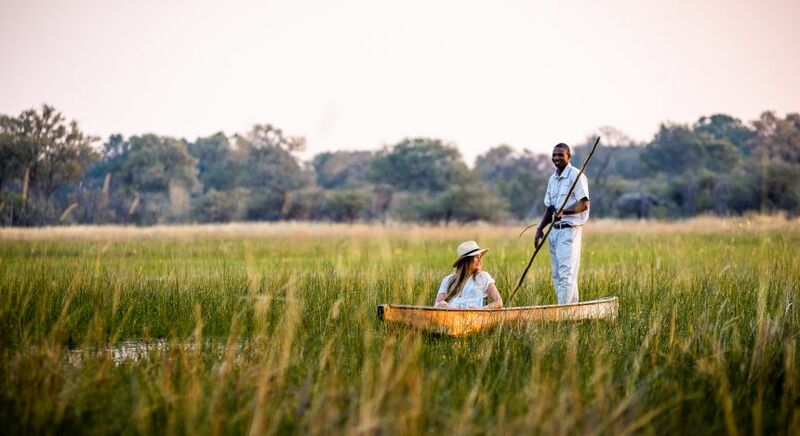 Indulge in the many activities Zarafa Camp has to offer, including game viewing, guided walks and beautiful cruises on the Zibadianja Lagoon, dependent on water levels. 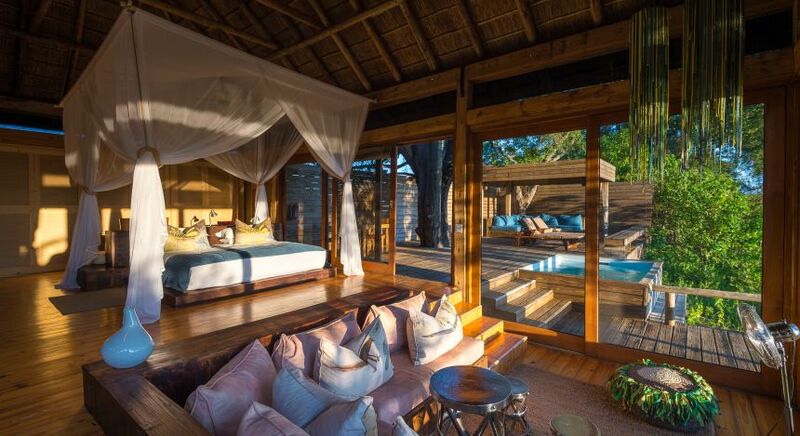 As far as luxury safari camps go, this remodeled property offers the best natural setting, majestic views and refined personal service. 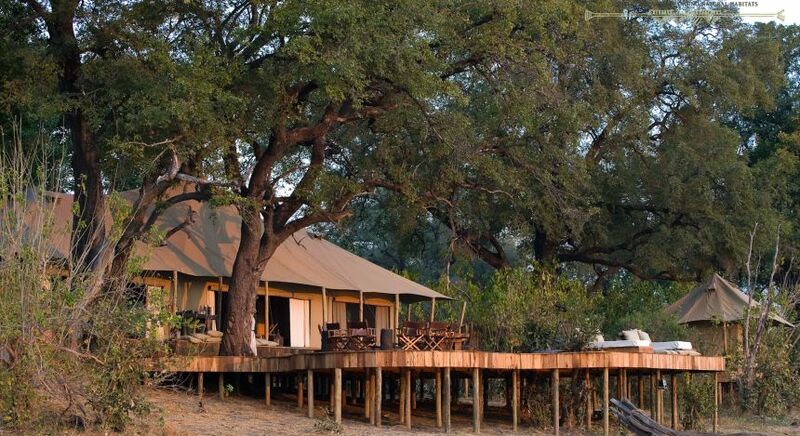 Sanctuary Chief’s Camp is located on Chief’s Island inside Moremi Game Reserve – and has been consistently rated as one of the top safari camps in Botswana. Our destination experts would have to agree. 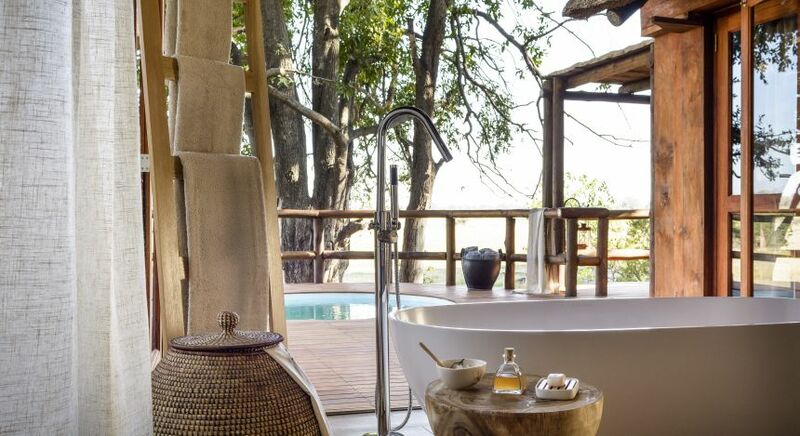 You can unwind in the largest luxury suites in the area, and undertake exclusive Botswana safari tours and mokoro excursions in the Okavango delta. 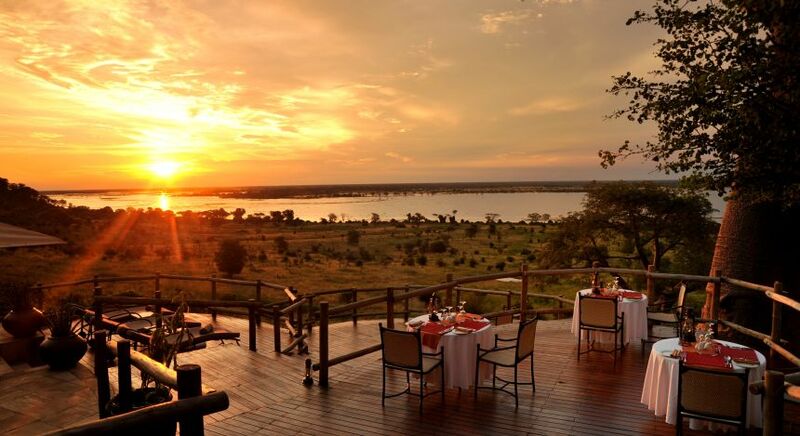 With so many great luxury options to pick from, your stay in Botswana will be as memorable as it is enchanting. 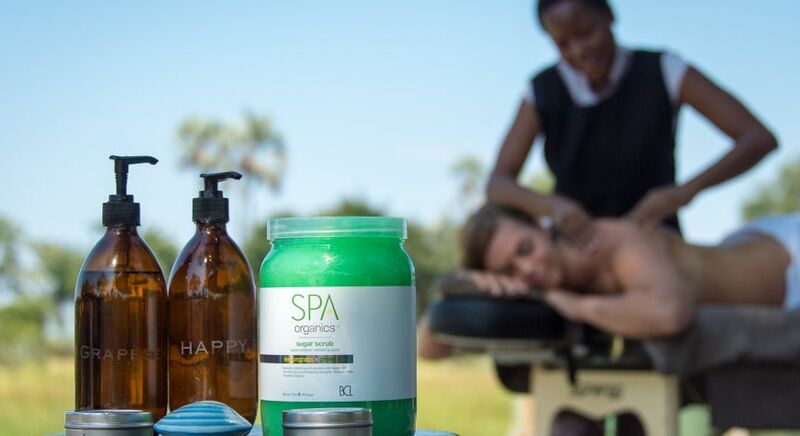 Are you ready for your trip of a lifetime? 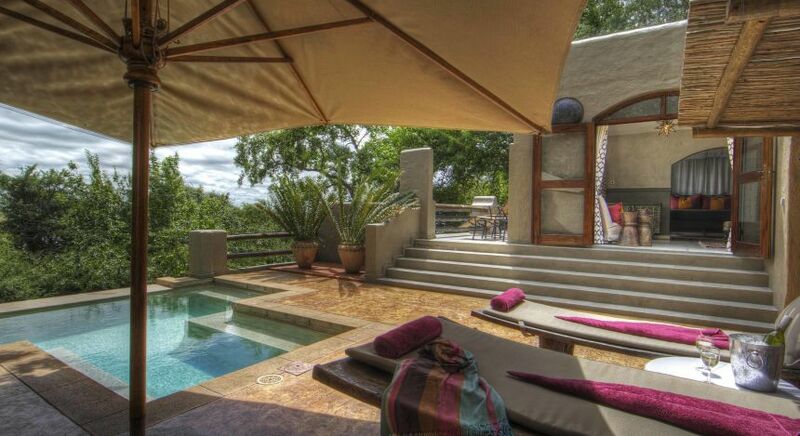 Enchanting Travels regularly reviews all our accommodation to ensure they are quality tested for your comfort and safety. 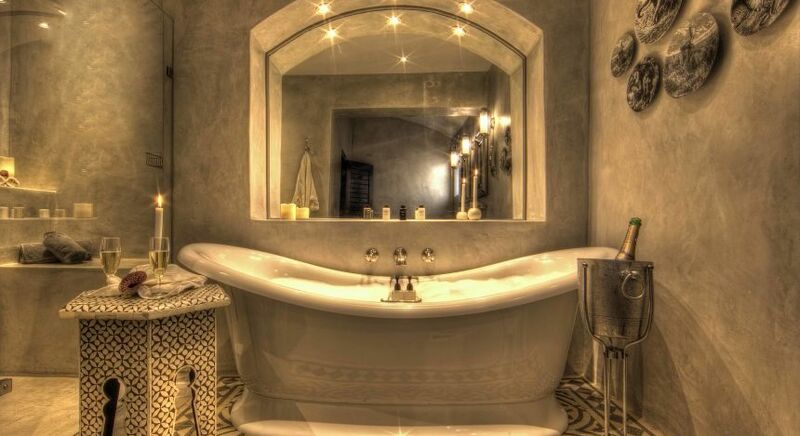 Want to see your favorite featured in our list? 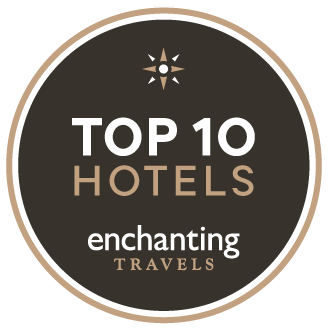 Let us know in the comments below or write to us at contact@enchantingtravels.com. 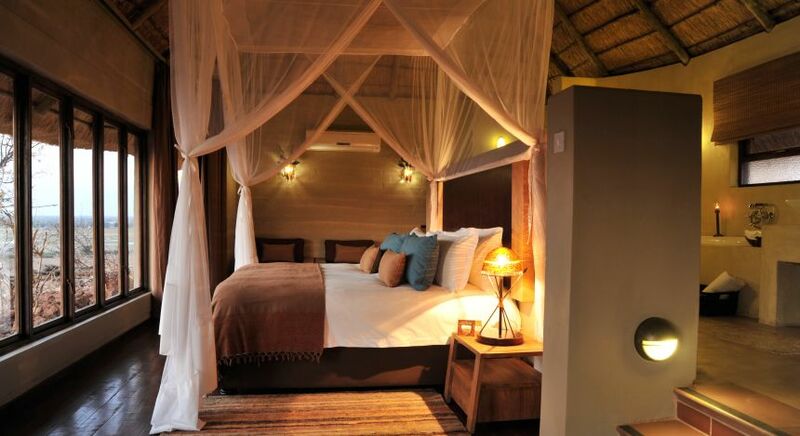 Create your tailor-made Bostwana safari vacation.